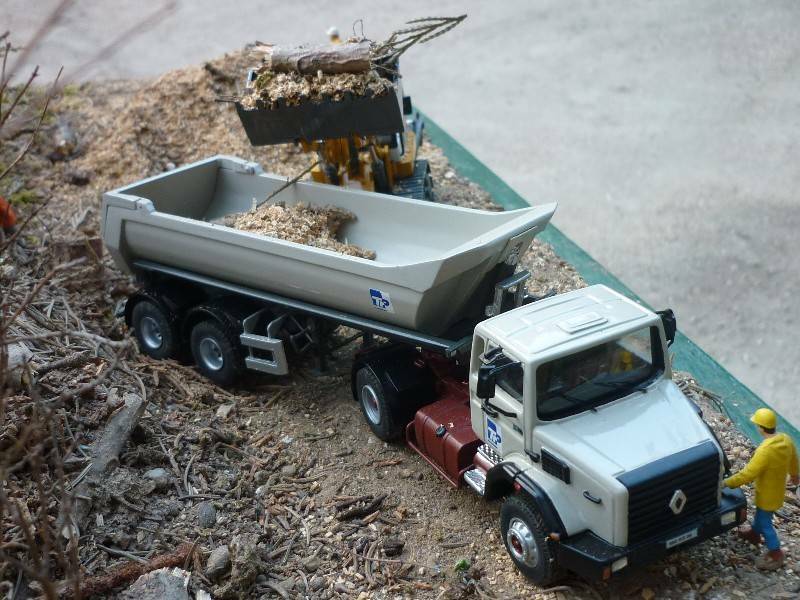 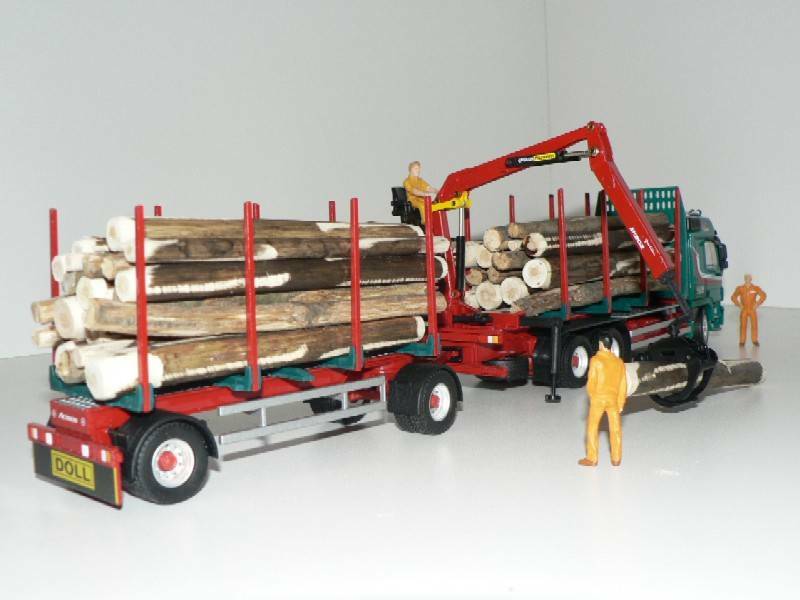 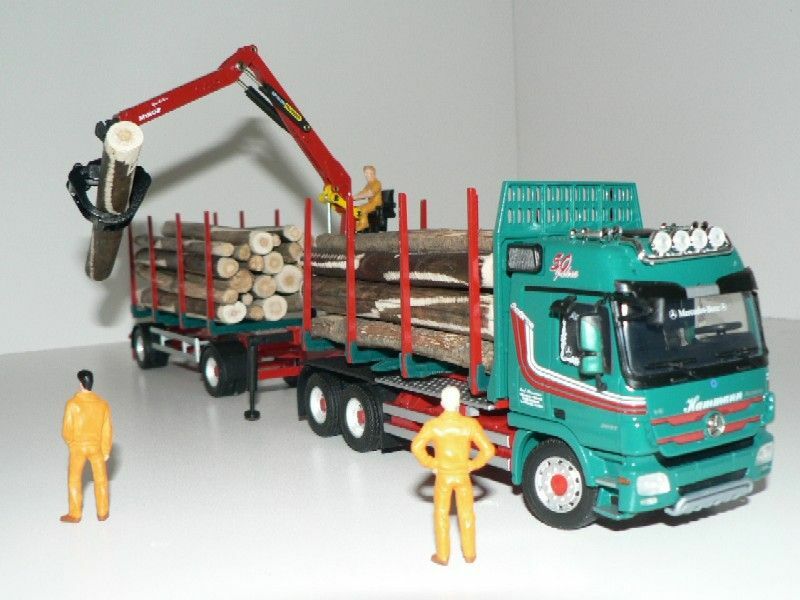 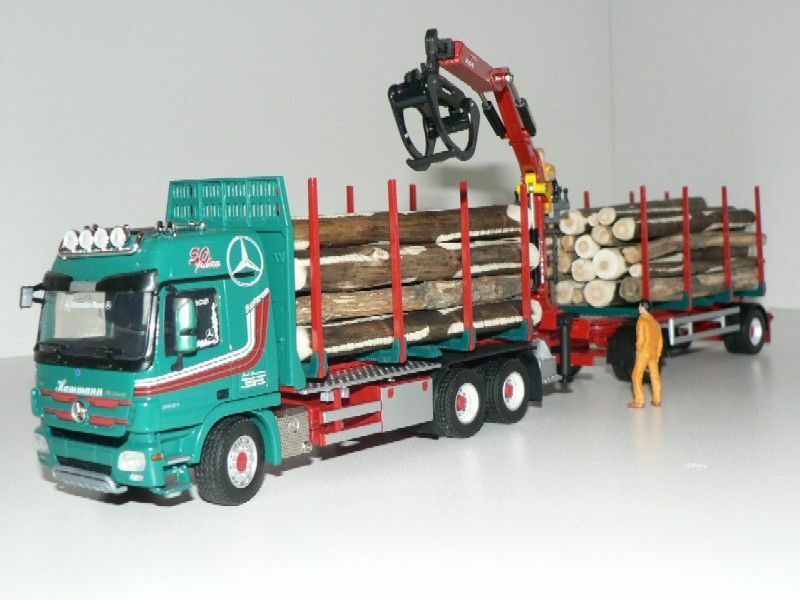 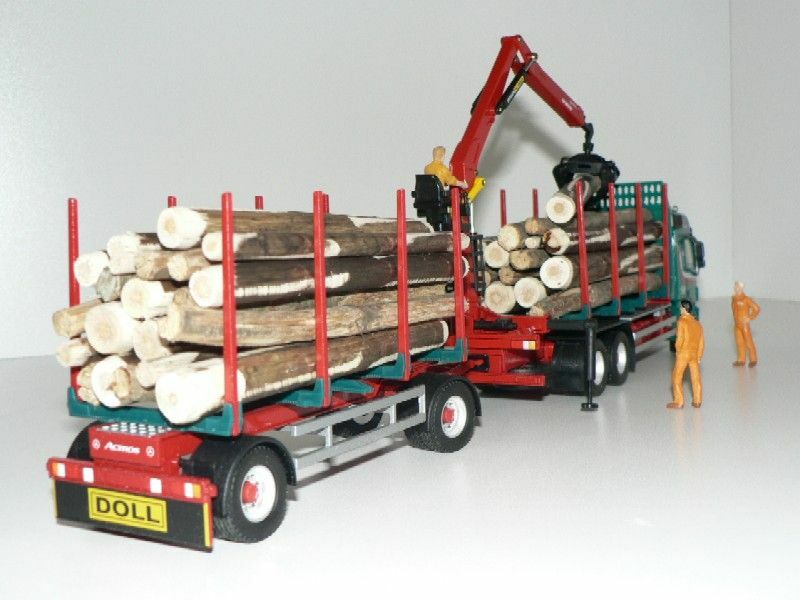 In Germany again, "short wood" transport (timber cut in 6 metres pieces) with another Conrad model. 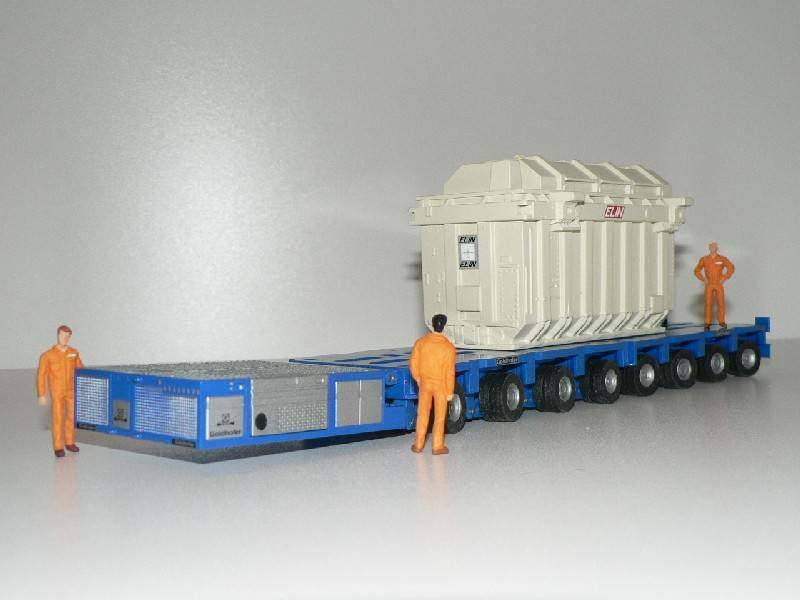 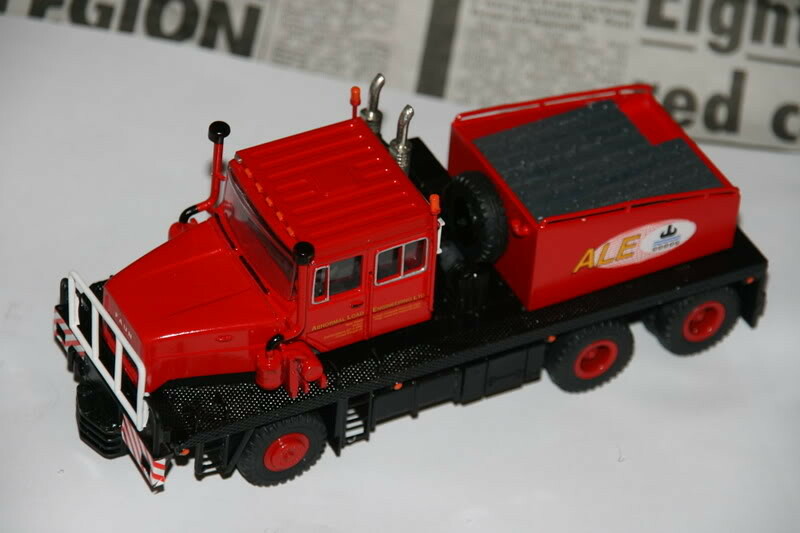 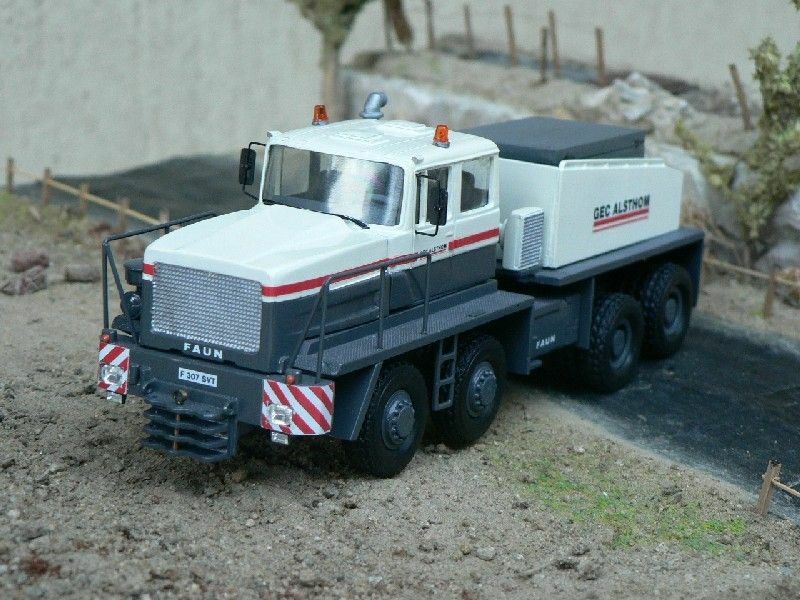 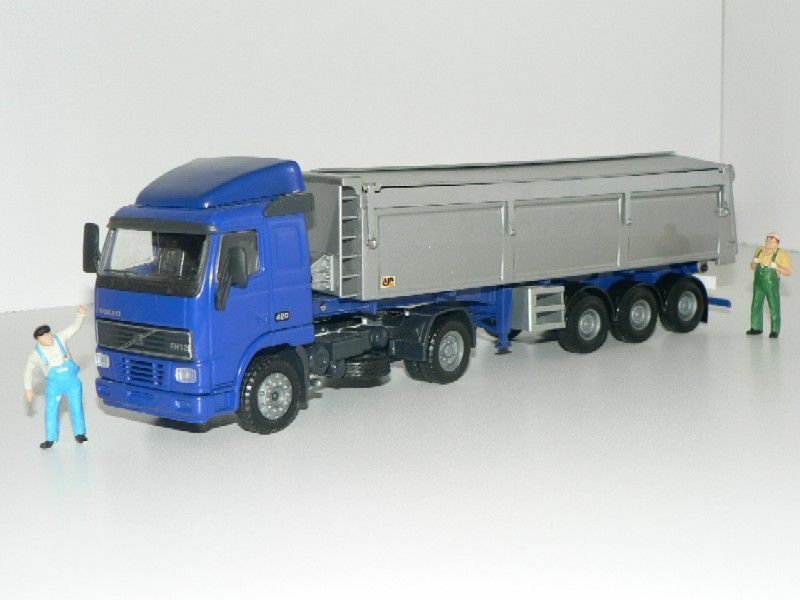 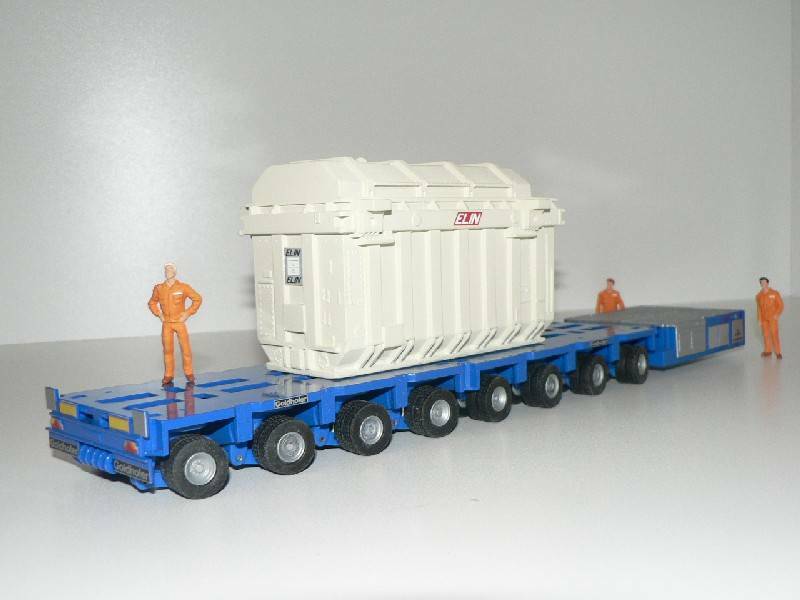 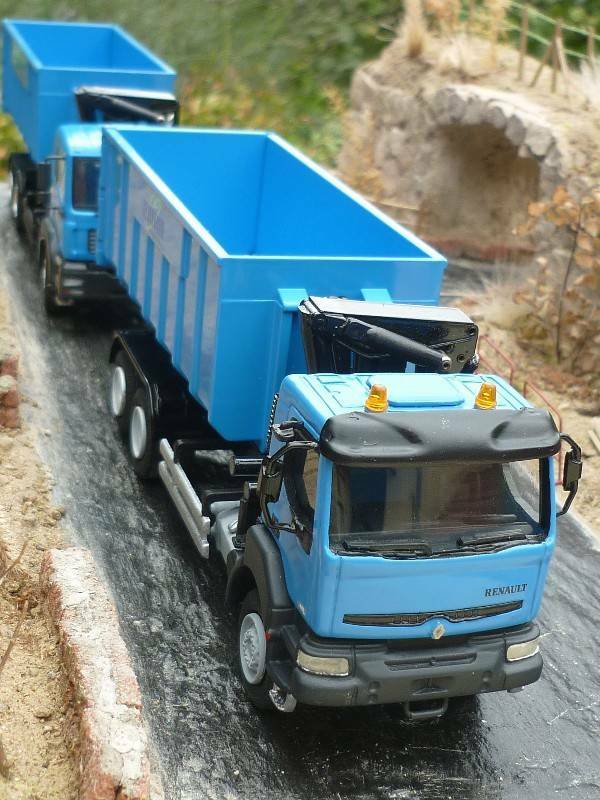 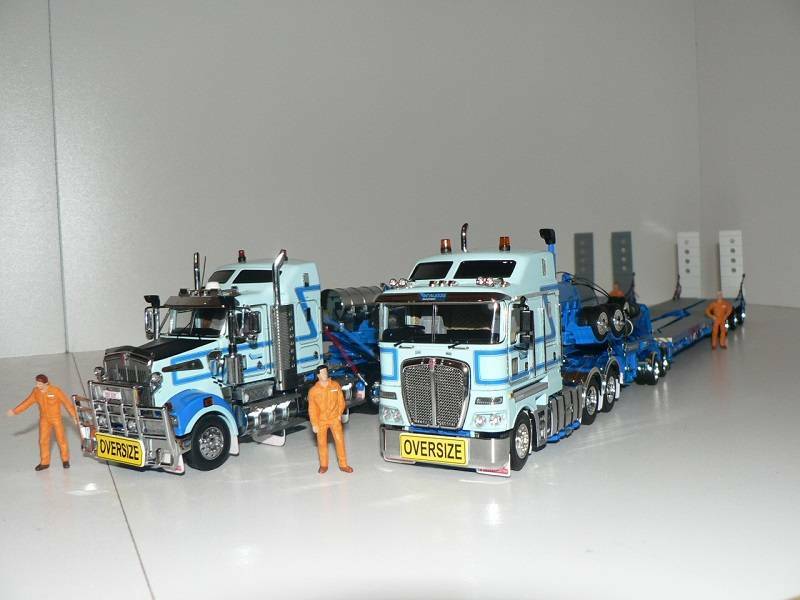 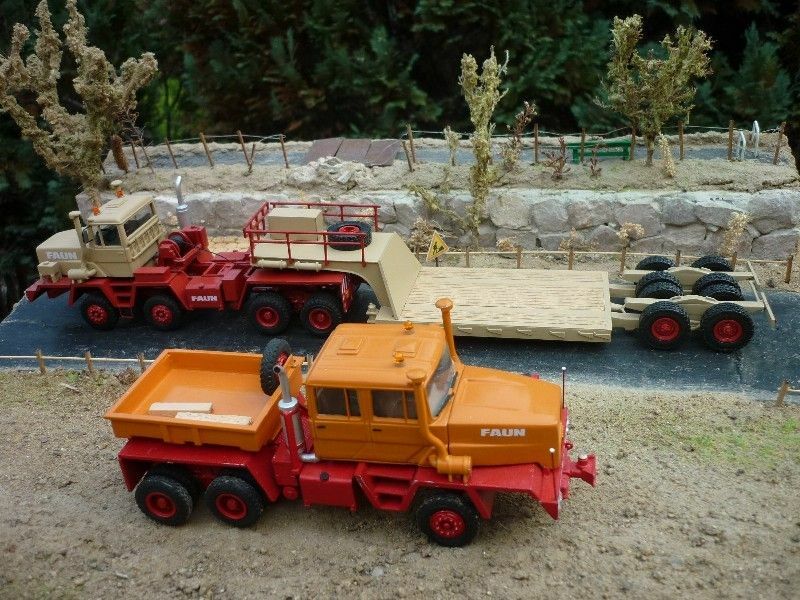 As for the orange model, displayed earlier, cab, tank, battery box, etc are MiniCams kit and parts. 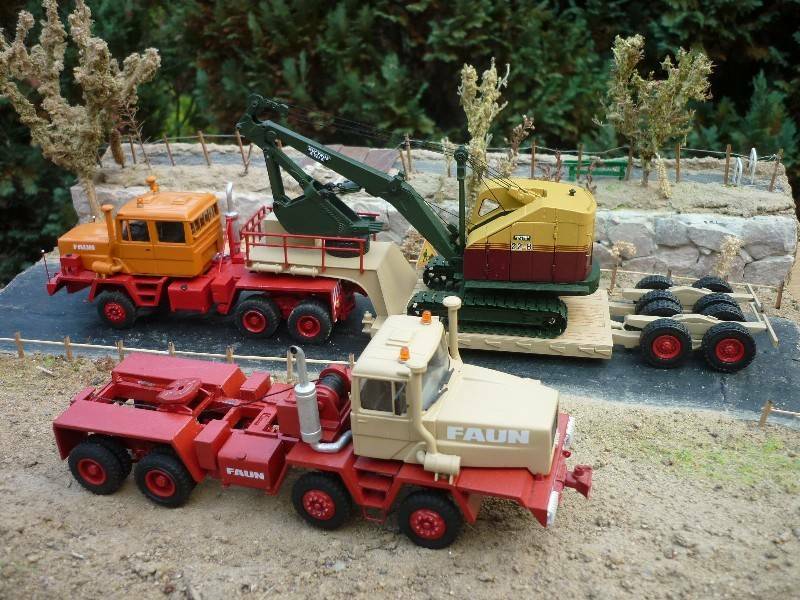 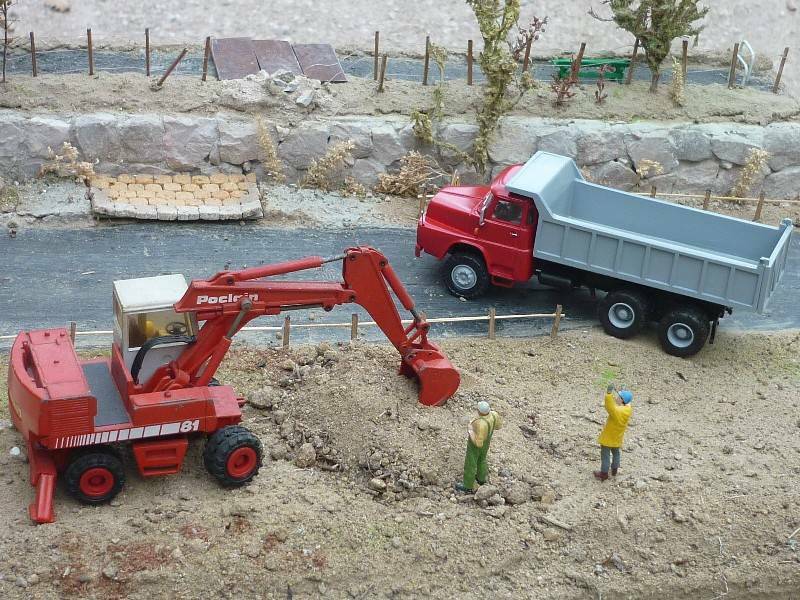 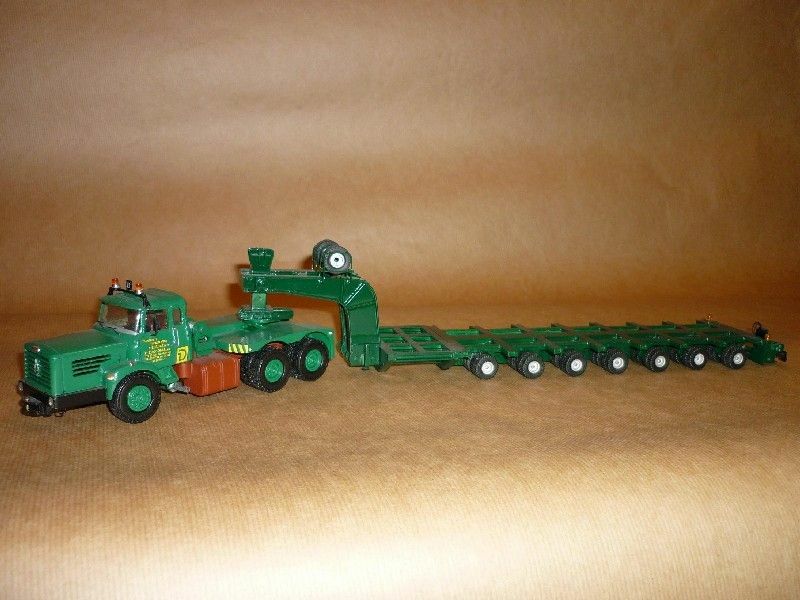 "Recycling" exercise of a few cheap Siku tractors, mainly bought to get trailers and loads attached to them. 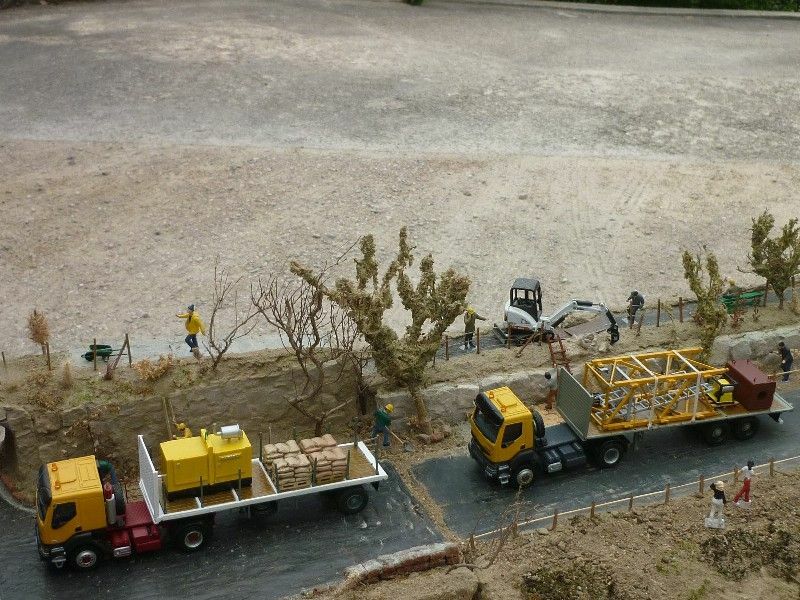 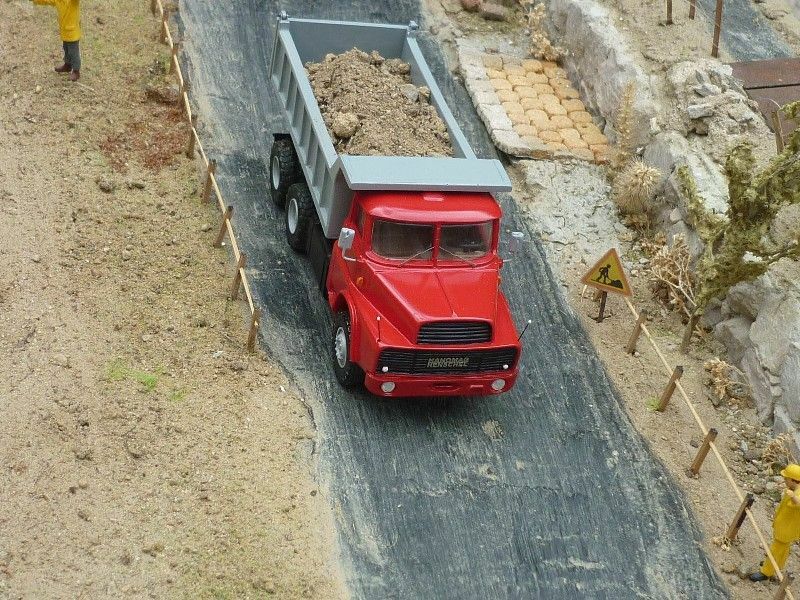 As you probably know, the French Riviera lies along the Mediterranean coast, which could explain the drought of some of Azur Modelisme dioramas. 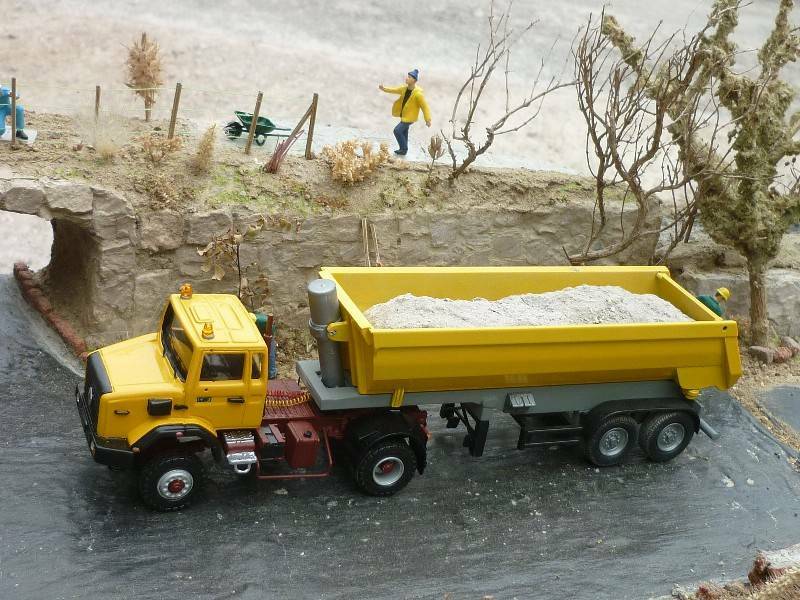 But don't be afraid: we have had our content of rainwater this year so far! 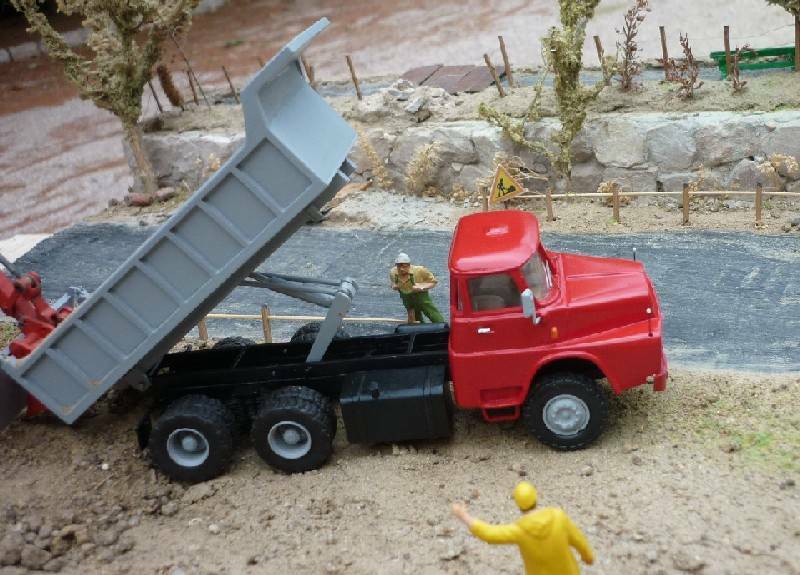 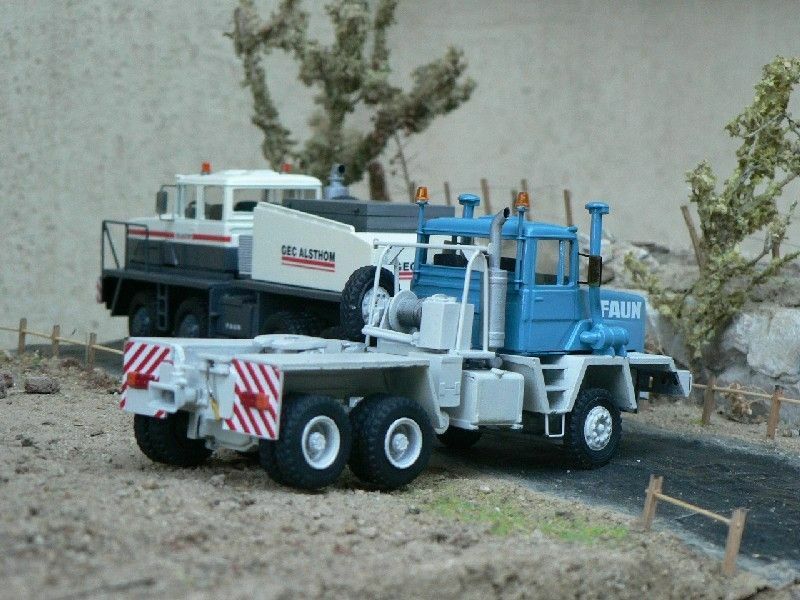 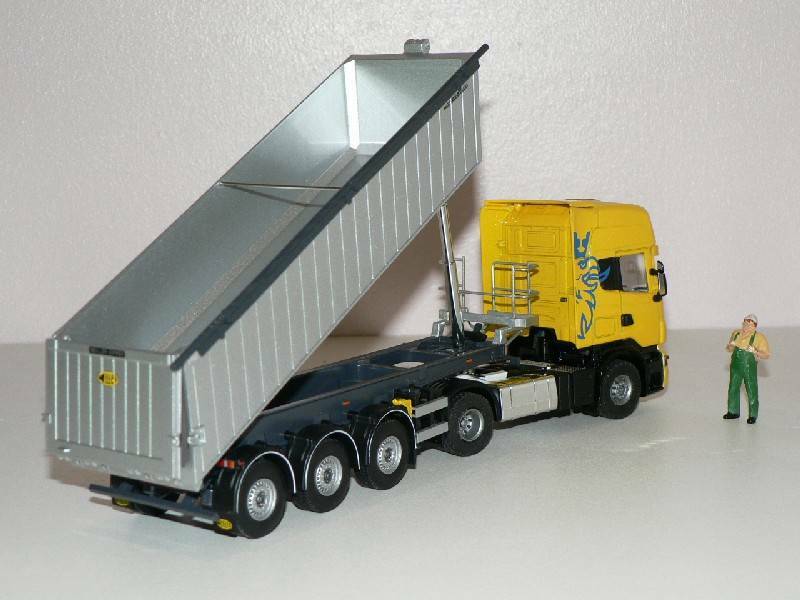 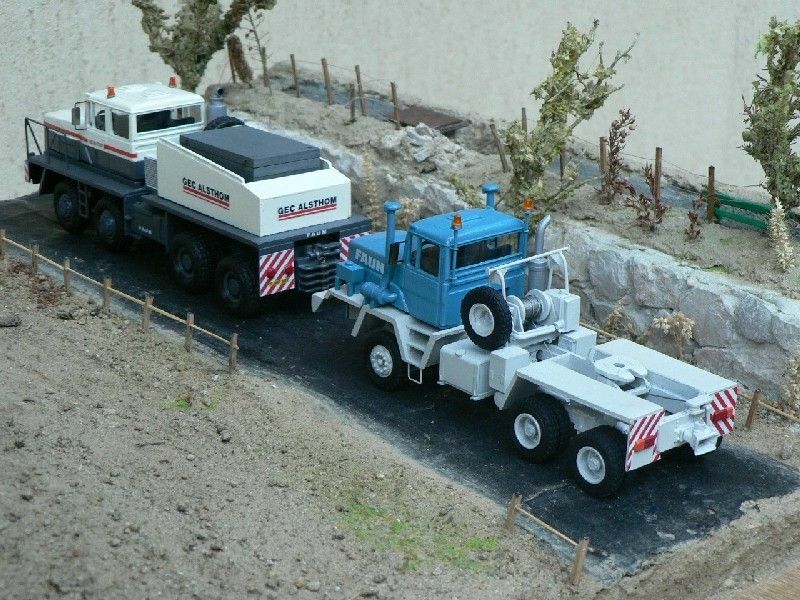 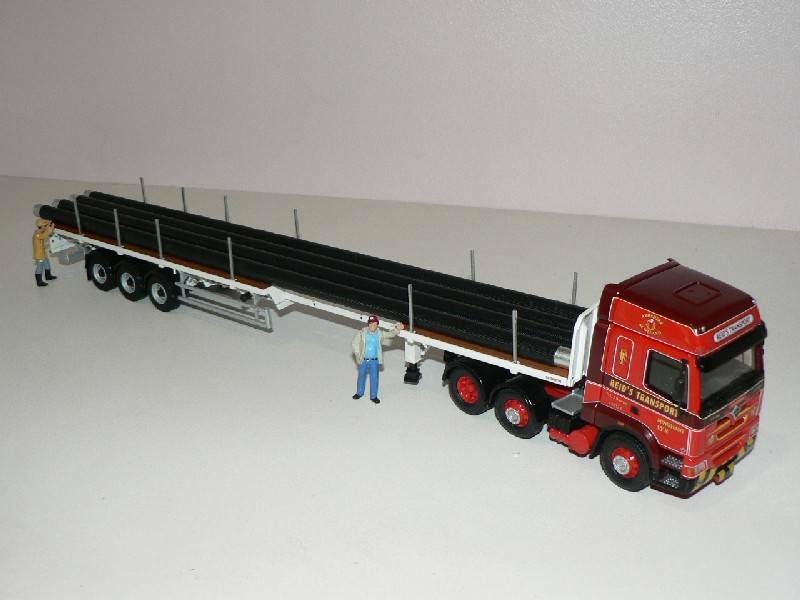 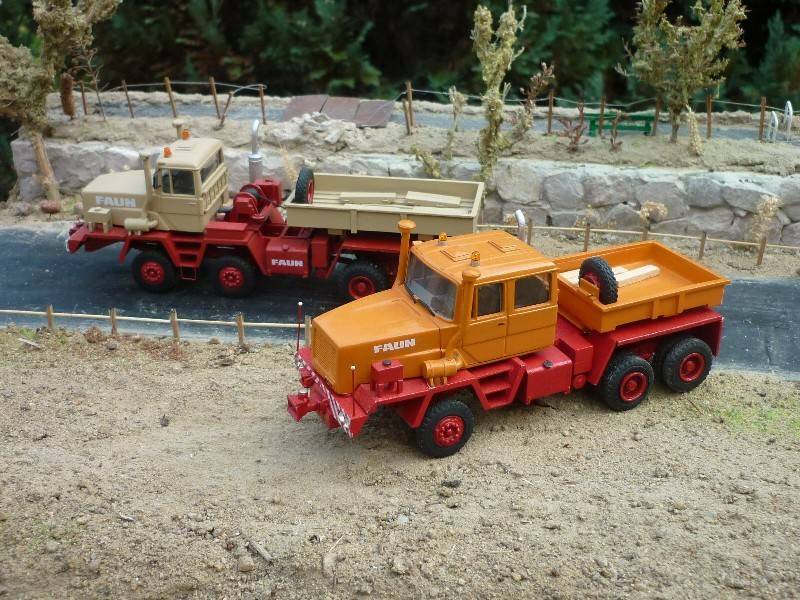 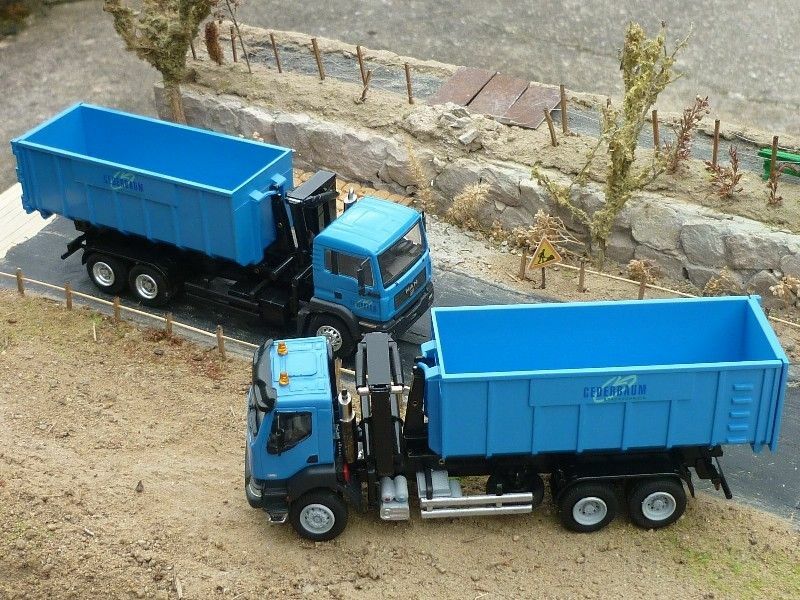 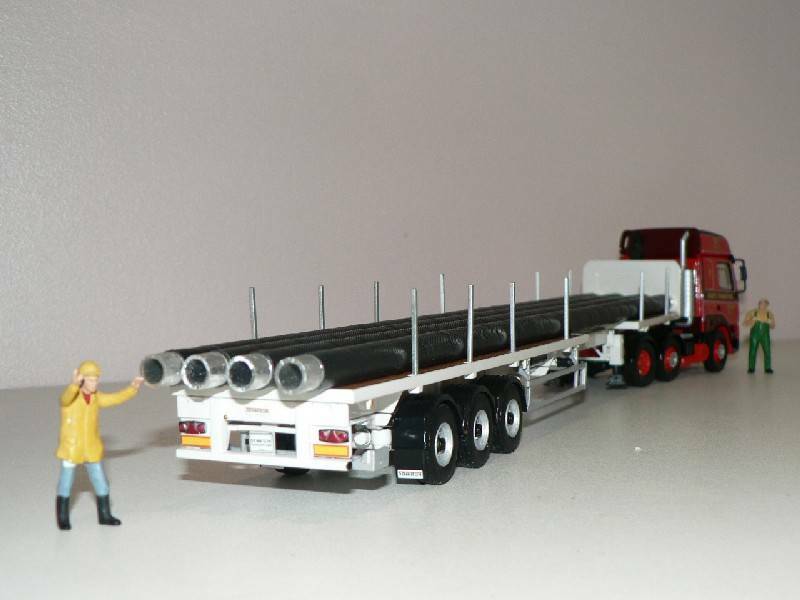 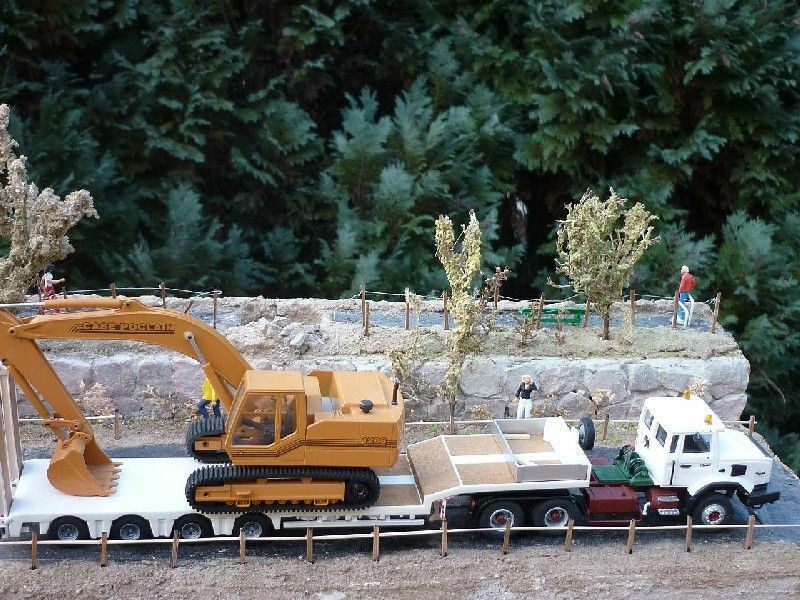 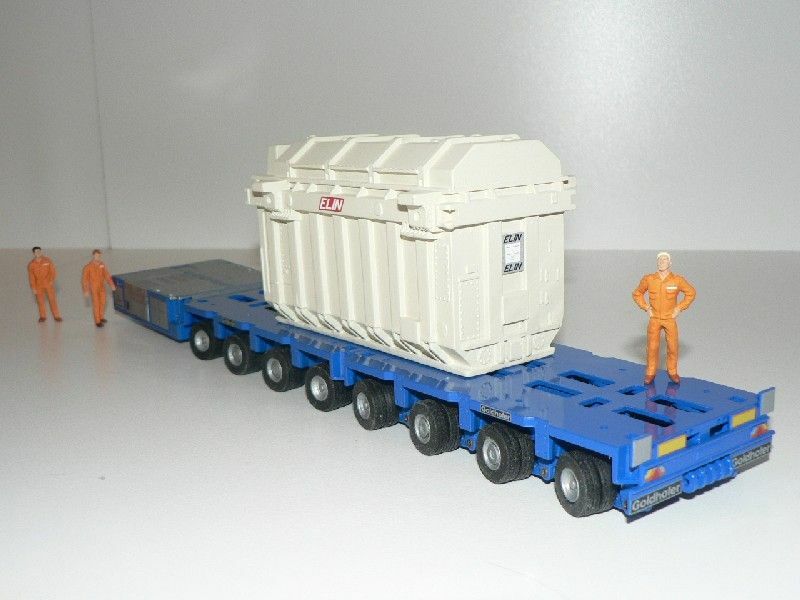 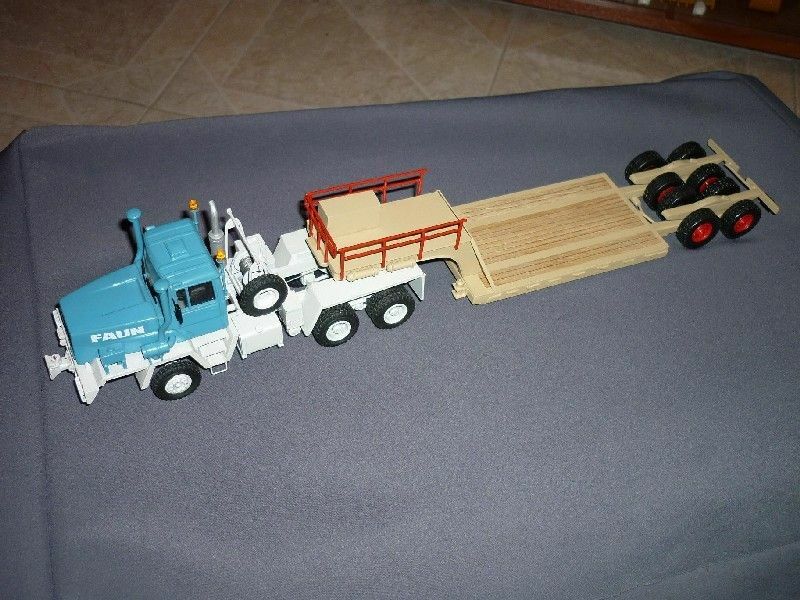 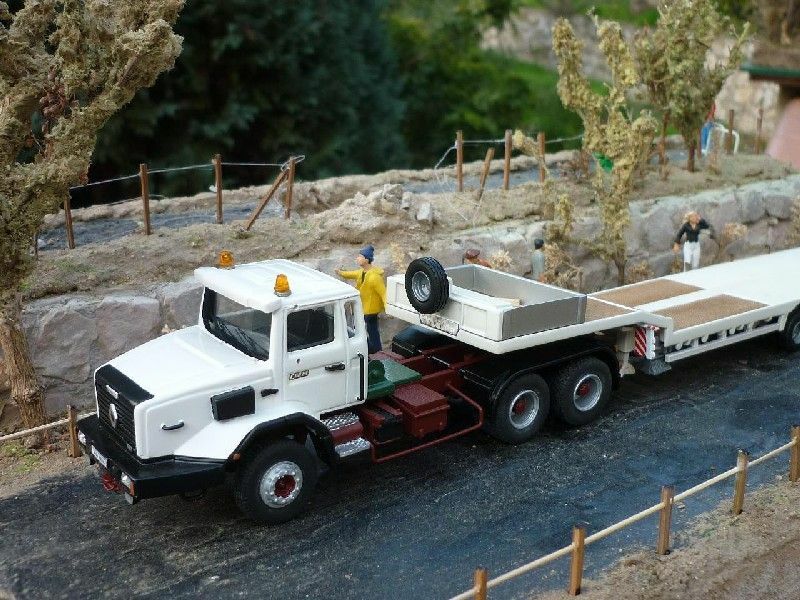 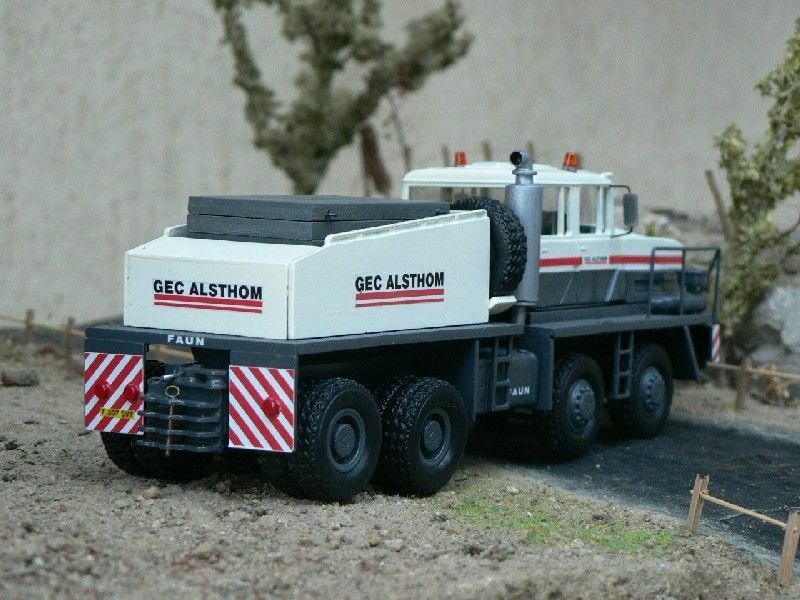 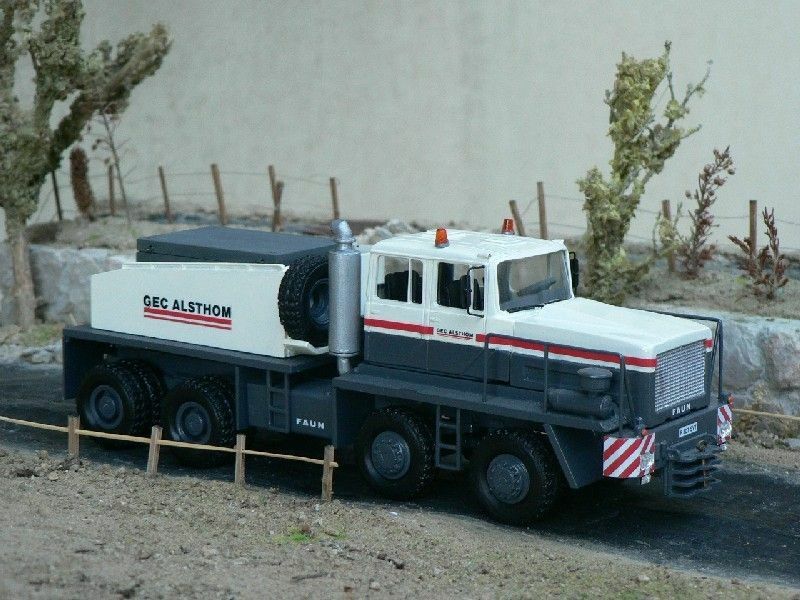 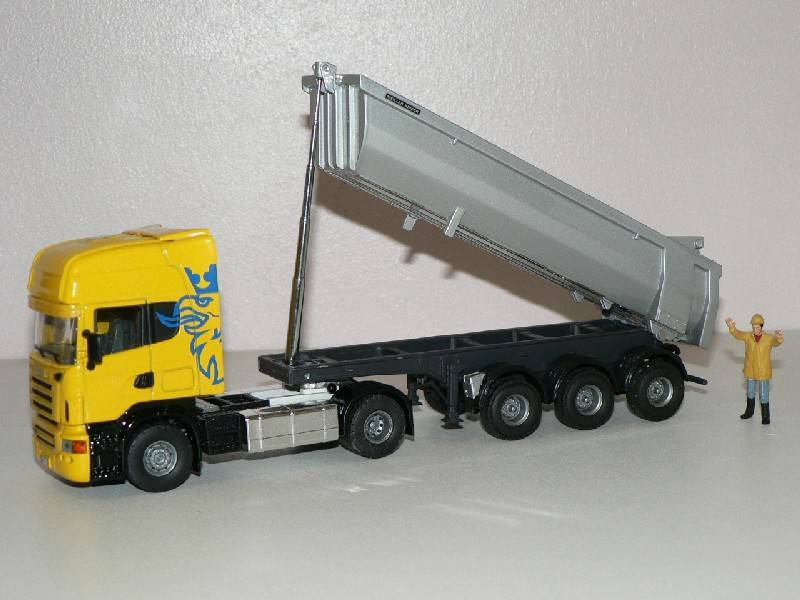 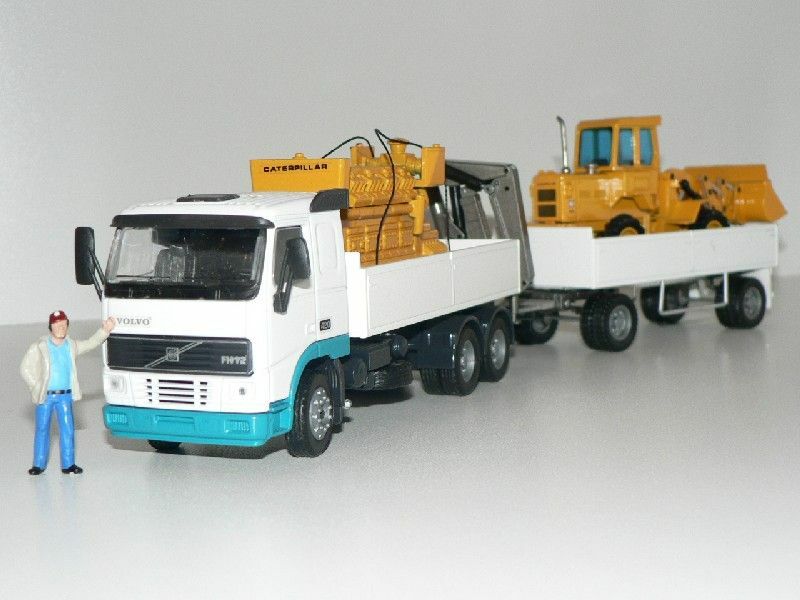 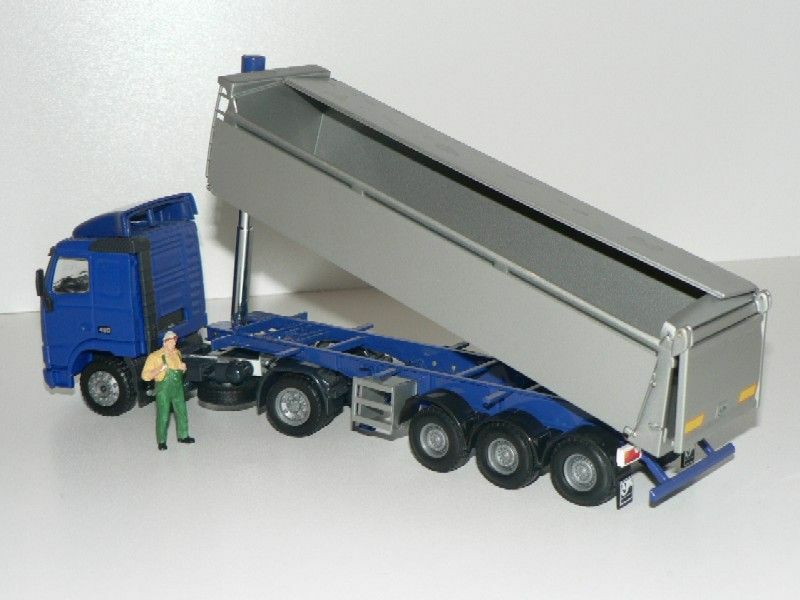 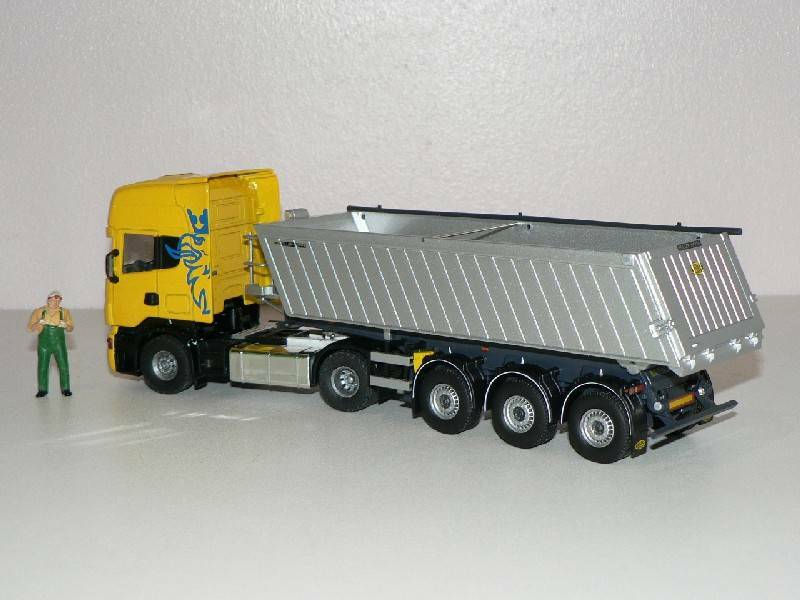 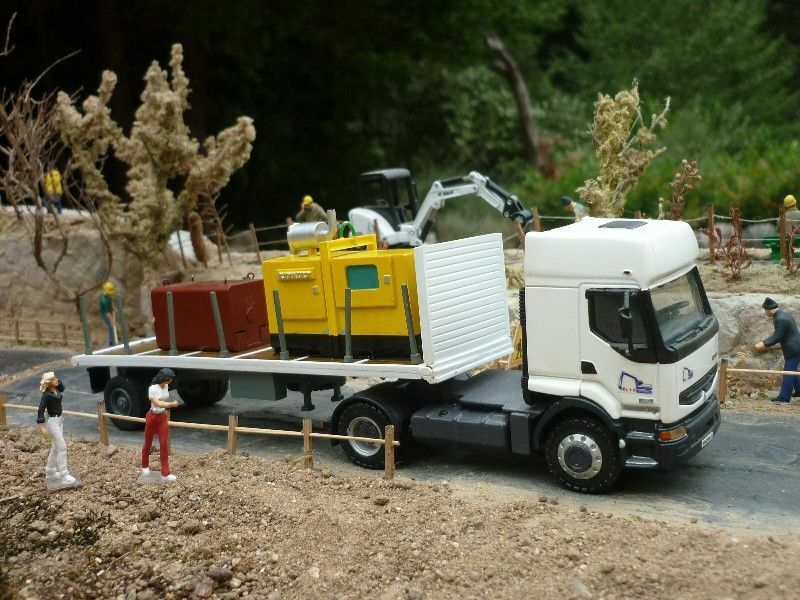 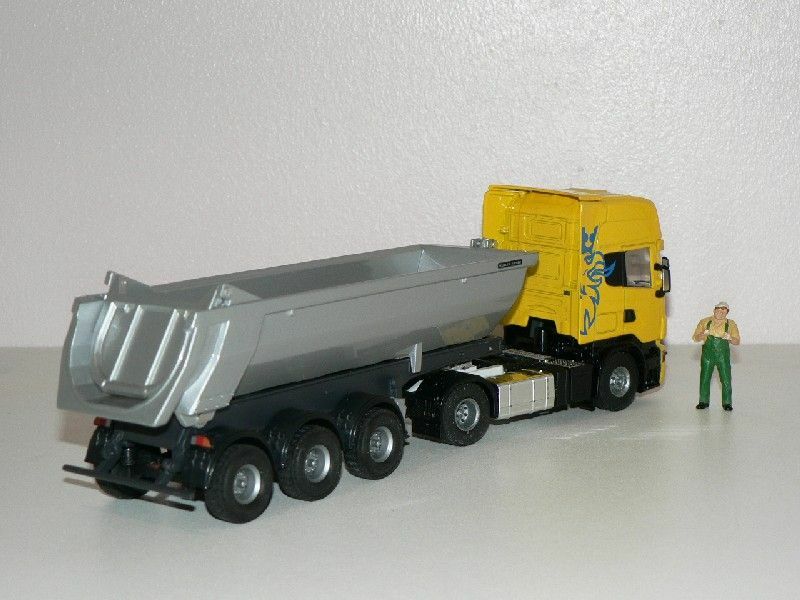 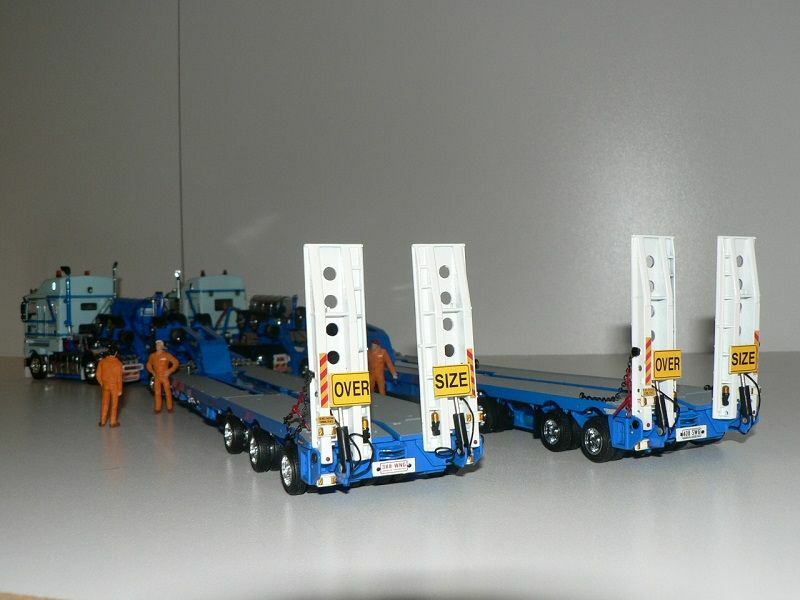 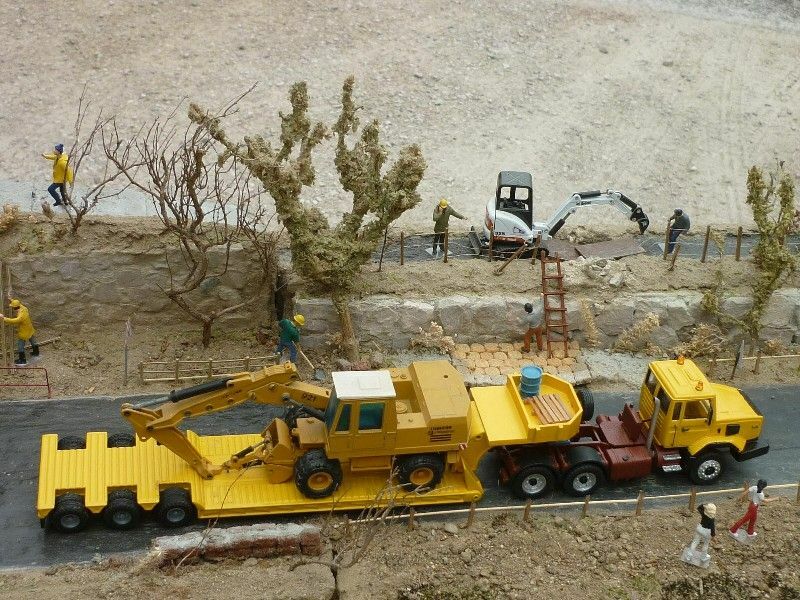 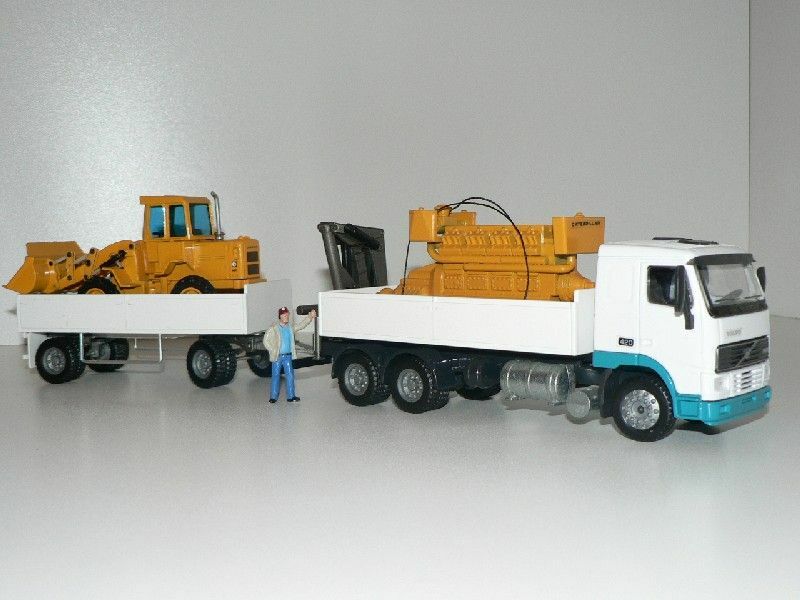 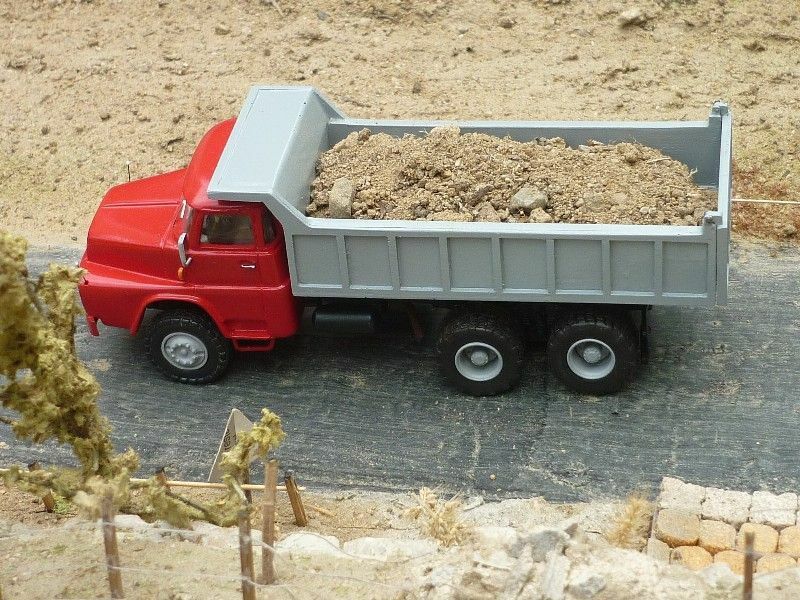 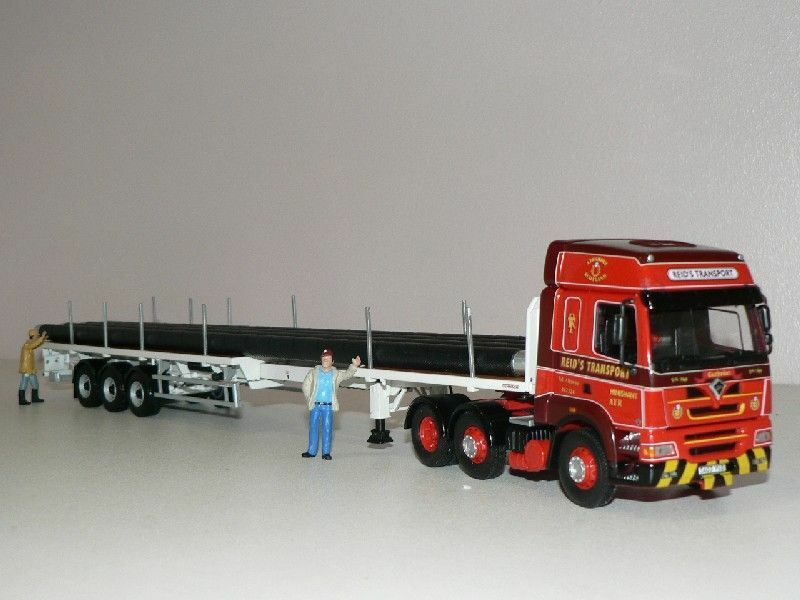 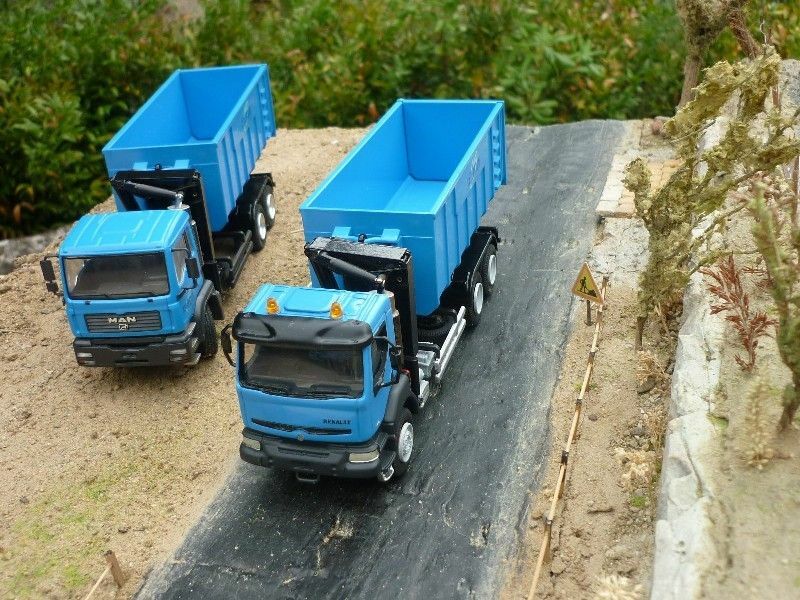 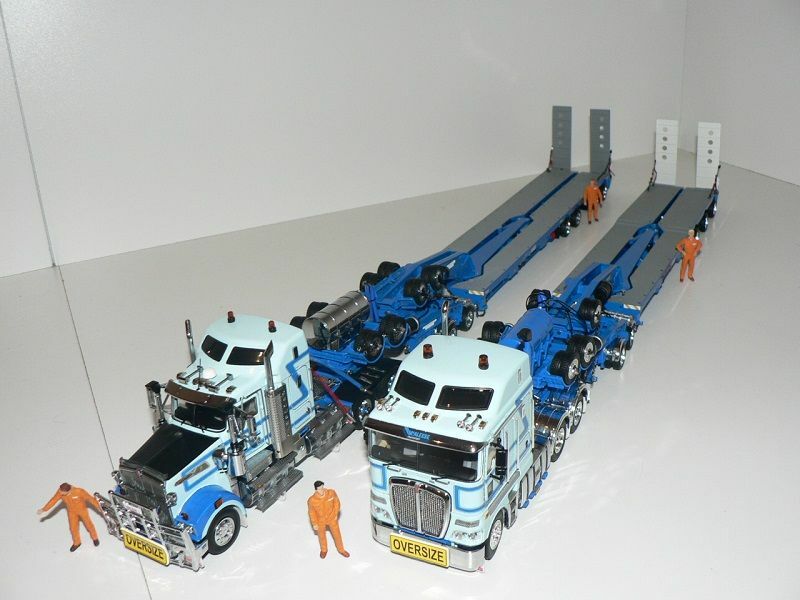 The 7-line Nicolas modular semi-trailer (already displayed earlier) is made from a Cometto A. Smith kit to which Jean-François added a homemade short deck and hydraulic gooseneck. 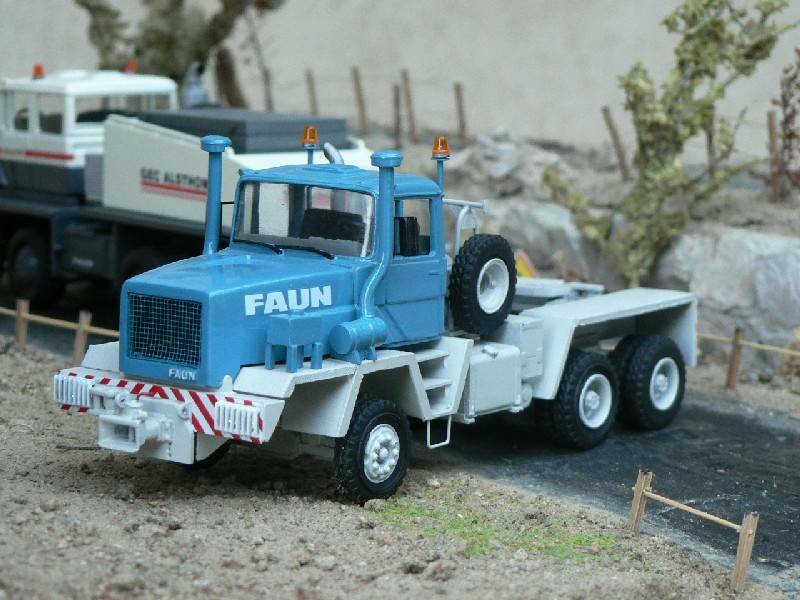 Love the Faun models does Zon still make them? 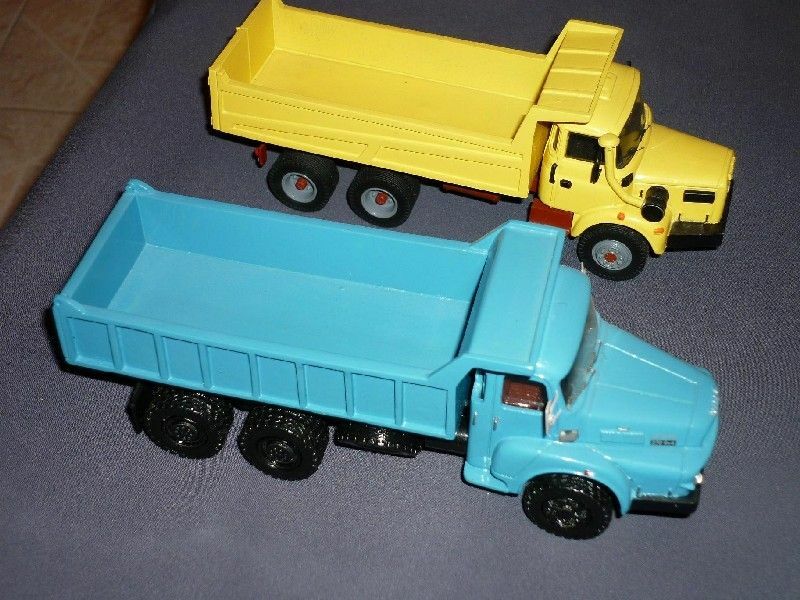 they do not make the ones you have shown. 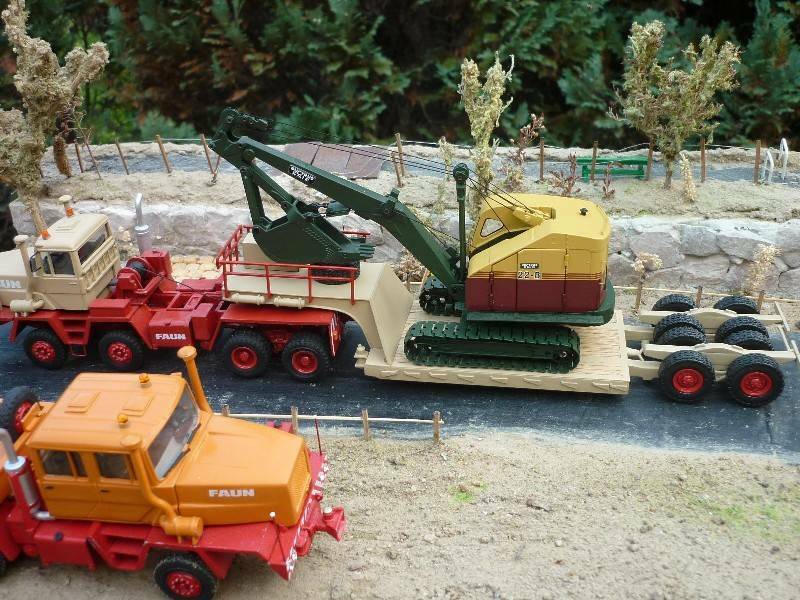 by Dans models nice model to.